I don't know what's going on with you on the 8th but you need to cancel that. Ghadir is shutting D.C. DOWN. Y'all love to read her word, now come out and here it live. Trust me, this is something that you don't want to miss. It will move your soul. I been listening to her practice this past week and I couldn't be prouder. She is going to burn the place down. 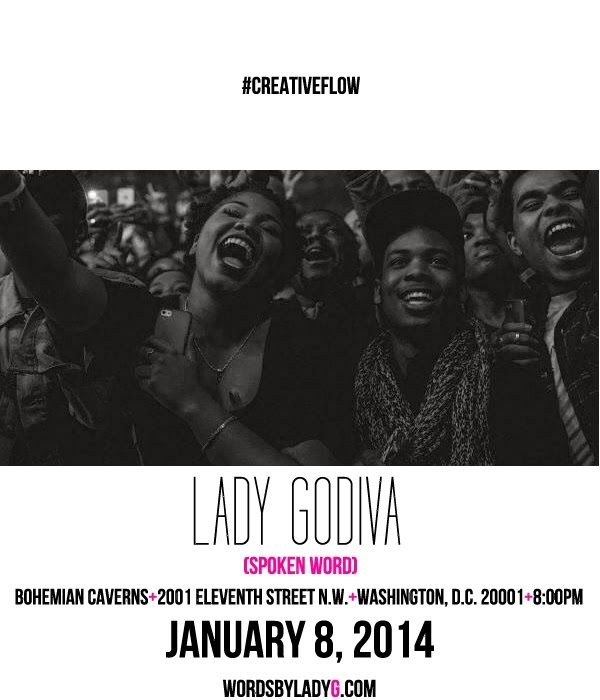 You know when people get on stage and you never want it to end, That's what Ghadir aka Lady GoDiva gonna be like. Make sure you in the place to be. Also spread this flyer around the web. Let's pack the house.